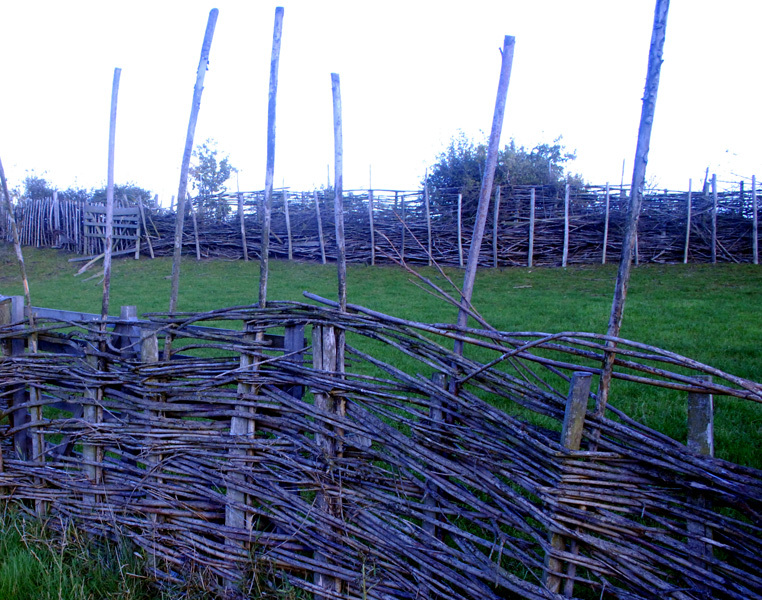 A wonderful museum to Anglo-Saxon lifestyle is presented at Bede's World in Jarrow, England. 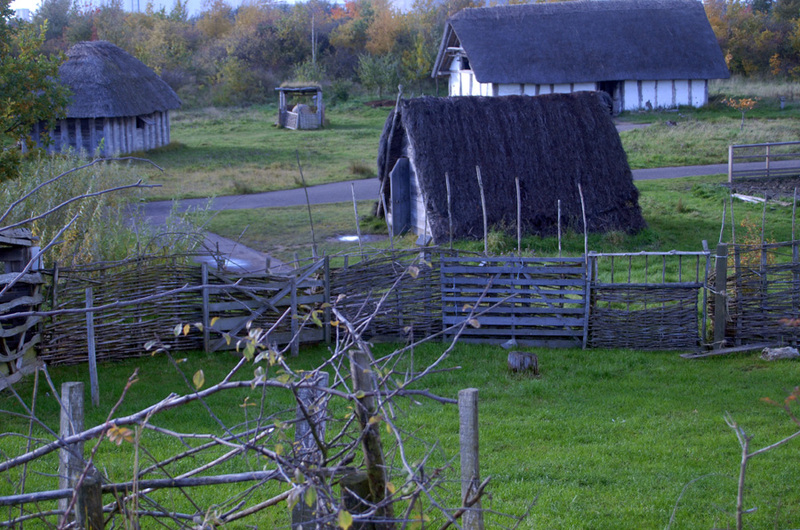 Grub House (foreground and Longhouse (background) at Bede's world. 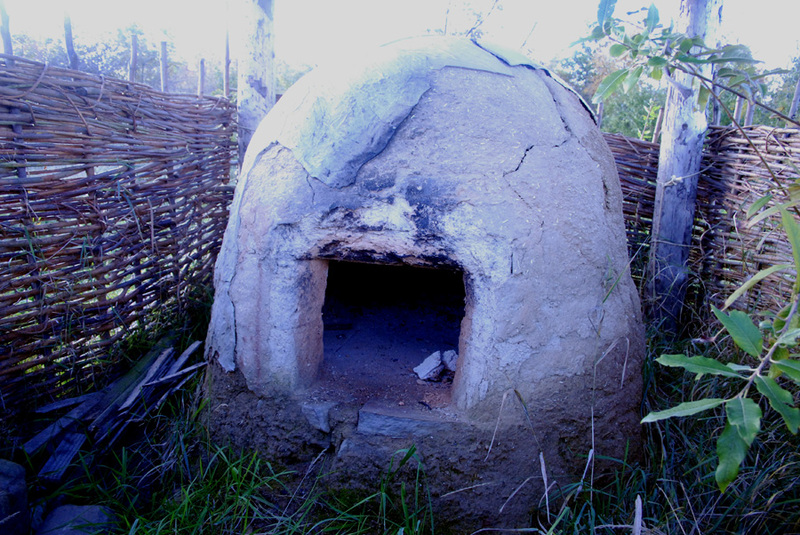 The grub house is based upon an excavated structure found at the site of New Bewick in Northumberland, England. 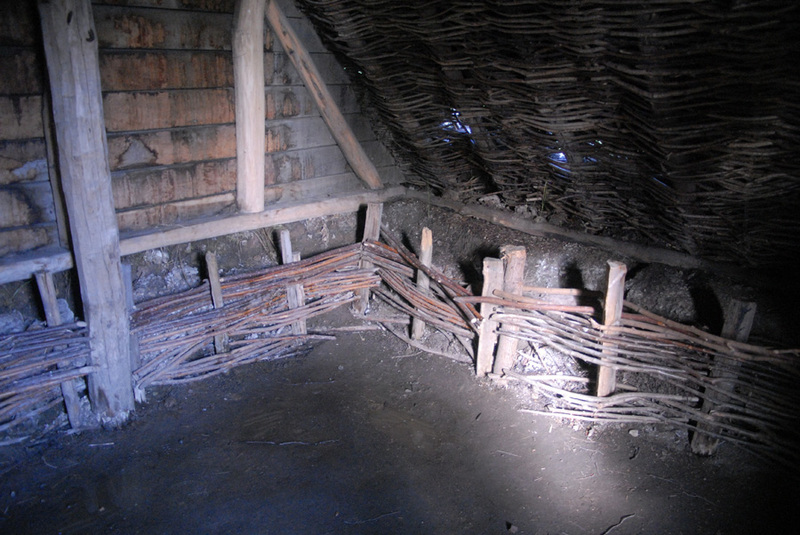 Interior of a grub house without its wooden floor. 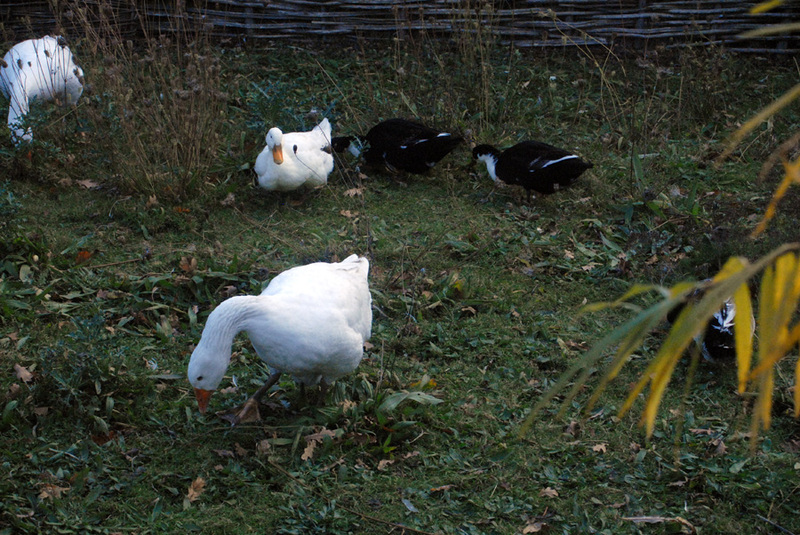 Waddle fence around a small pasture. 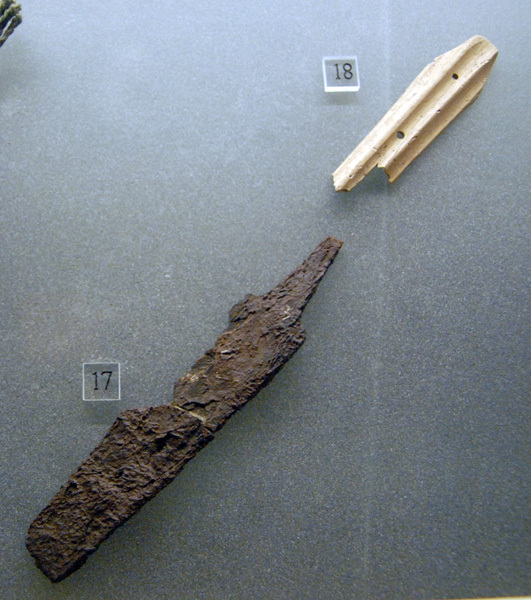 Iron knfe blade and ox bone handle. 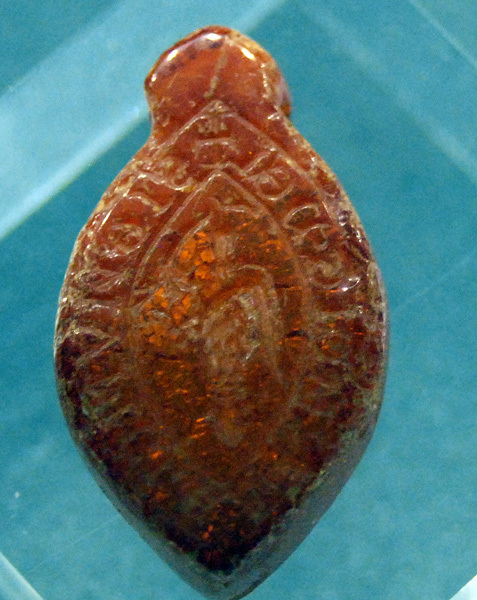 Late Anglo-Saxon seal with a Latin inscription SIGNUM CLEMENCIE DIE, "Seal of the mercy of God." . 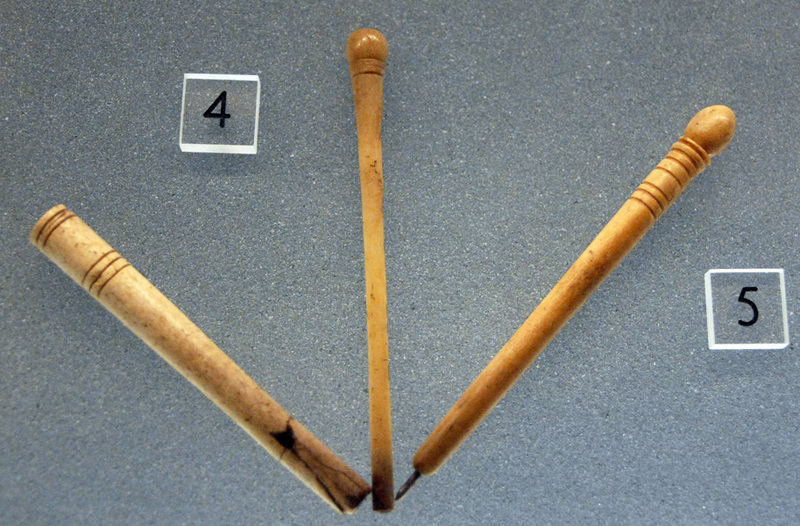 Late Anglo-Saxon bone writing stylus. 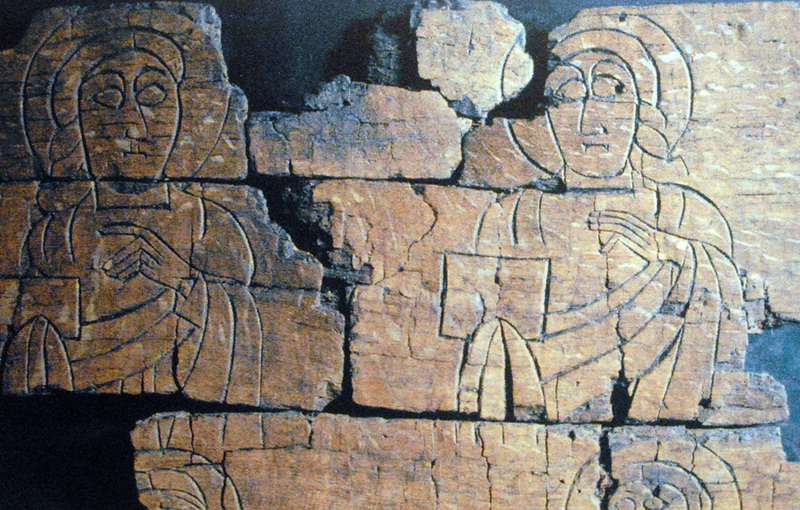 Wood fragments with Anglo-Saxon decoration of Gospel Writers - fragment of Cuthbert's coffin. The date for St. Cuthbert's death is considered in AD 687. 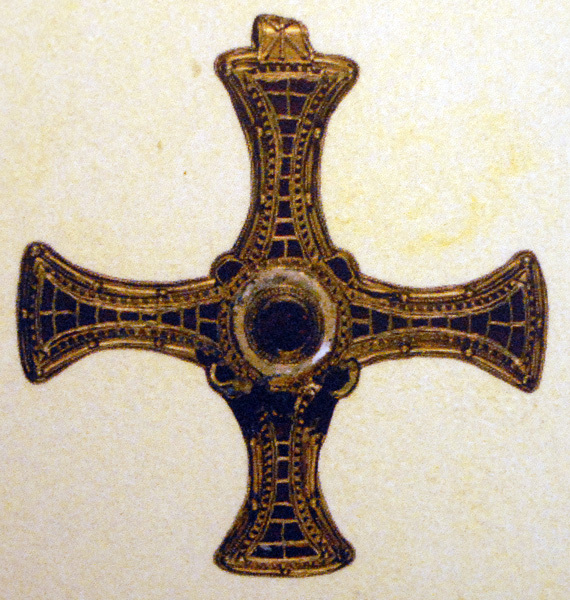 Pectoral cross with gold and garnet cloisonné associated with the burial of St. Cuthbert. Recontruction of a portable altar manufactured from wood. 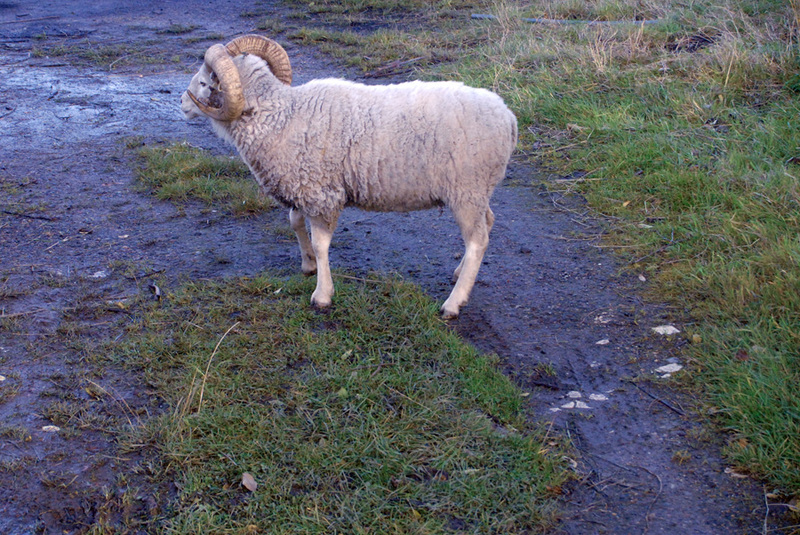 The original was found with the burial of St. Cuthbert. The five crosses represent the five wounds of Christ. 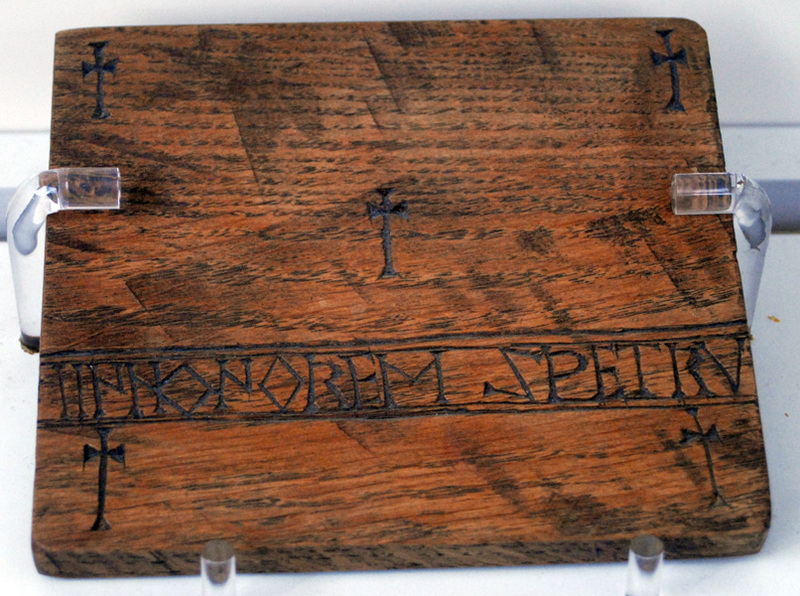 The inscription can be translated as "IN HONOR ST. PETER" .